BRANDON, Man. – Now is your chance to get up close and experience the precise workmanship and attention to detail of Manitoba artist Allan Tataryn. His artwork is on public display from now through April in the Tommy McLeod Curve Gallery on the second floor of the John E. Robbins Library at Brandon University (BU). 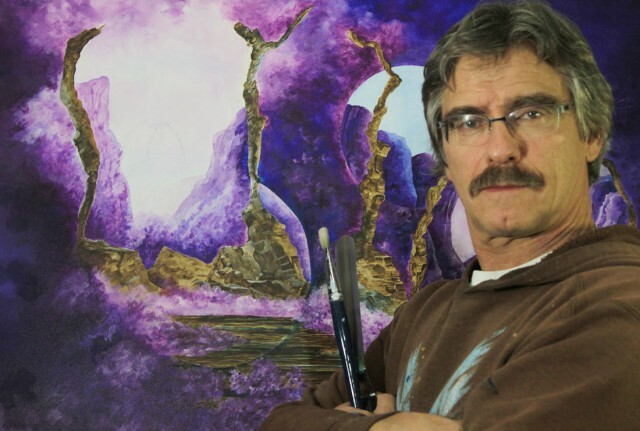 A contemporary realist painter, Tataryn was born in Flin Flon and now lives in Russell, where he maintains a studio. Using oil and acrylic paint as well as India and acrylic inks, Tataryn is inspired primarily by the Canadian prairie and boreal forest. “I focus very definitely on the crafts of drawing and painting,” Tataryn said. Three bodies of work are in the exhibition: pen-and-ink works, realistic paintings, and paintings he describes as “more expressive and stylized.” He brings a different approach to each of these disciplines. Oil paints have long been Tataryn’s choice for his realistic paintings, although he has recently been using acrylics more often. His realistic pieces consist entirely of landscapes. Tataryn’s expressive paintings are produced in nearly the opposite fashion as his pen-and-ink drawings, but without losing his perfectionist tendencies. Tataryn has participated in group and individual local exhibitions and has been shown numerous times at the Manitoba Rural and Northern Art Show in Winnipeg. His work is in private collections across Manitoba and Canada. He has completed courses offered by BU’s Visual and Aboriginal Art Department, as well as workshops, but he considers himself to be essentially self-taught as an artist. There is no cost to view the exhibition. For library hours and information, please visit brandonu.ca/library/hours.html.